Scotland is home to a rich heritage and colourful history of textiles. Add to that beautiful scenery among the colours of Autumn, a few historic wonders and warm Scottish hospitality and you have the ingredients for a wonderful adventure here in Scotland. From the 17 -24 October 2018 we are so excited to be teaming up with historian and guide, Alison Balzer, for a fun week exploring our Highland capital of Inverness, Moray and Speyside before travelling through the spectacular mountain and coastal scenery of Torridon and the West Coast of Scotland. Whilst this tour focuses here in the Highlands to allow us to incorporate time at the Loch Ness Knit Festival, of course a thriving textiles industry is found across Scotland. From the historic mills of the Scottish Borders to the famous tweeds of Harris in the Outer Hebrides and north to Orkney and Shetland we are very proud of the quality, style and history of this charming part of our heritage. With deep lochs, high mountains, a dramatic west coast, beautiful beaches, historic castles, quaint Highland villages, fine food from our great Scottish larder, and a wee tipple (or two) at a handcrafted Scottish gin distillery there’s a little bit of everything on this tour through the magnificent Scottish Highlands. With so many great places to see in this part of Scotland you’ll be guided on a scenic route from arrival to Glasgow through Perthshire to our Highland capital of Inverness, before continuing to explore the north-west coast. Enjoy our local activities, wildlife, scenery and of course good Scottish hospitality. 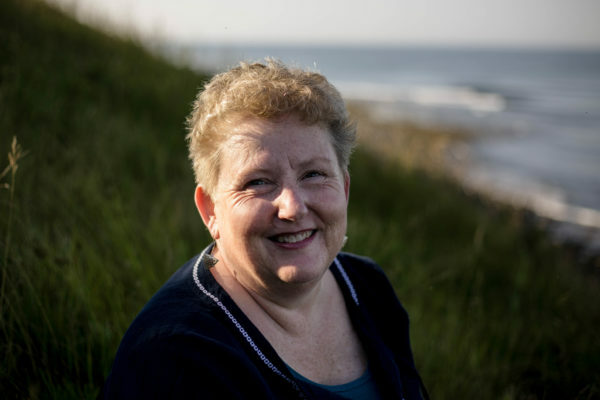 Alison lives on the beautiful east coast of Canada and is a superb Scotland Travel Specialist who we are delighted will be joining us to host this Scottish textiles and heritage trip. Her company Journeys2Scotland provides small group tours and personalized itineraries specificlly for Scotland. Alison’s appreciation for Scotland began over 30 years ago when she moved to live here for a short time. Returning to Canada, Scotland has continued to be in Alison’s heart ever since and over the years has returned many times. A few fun facts about Alison – she is fascinated by Scottish history, Stirling Castle is her favourite castle and you can usually find her knitting. She is currently studying Scottish Heritage (MLitt) on-line through the University of Aberdeen. Scotland has such a rich heritage in textiles and my interest lies mostly with yarn, particularly with wools. I admire Scottish artists who are inspired by the landscape around them and absorb the colors into the wool they are dying. The tweeds and heather colors alongside the beautiful naturals have won my heart. I am also interested in Scottish mills, both with those still working and those that lie empty. I enjoy digging into the history and hearing the stories of people who worked there. My last trip to Scotland was in April this year and I am so looking forward to being back again, this time to Inverness and beyond in the Autumn. For anyone with an interest in exploring Scotland through a slightly different lens then this can be a wonderful opportunity to find a few hidden gems. For friends, couples and those travelling alone who fancy joining a small group of like-minded people and an experienced host this is a great option. Thank you for your interest – this particular trip is now closed, however if you are interested in this type of tour or something similar for the future then please do not hesitate to get in touch to find out more information or start planning your escape to Scotland.